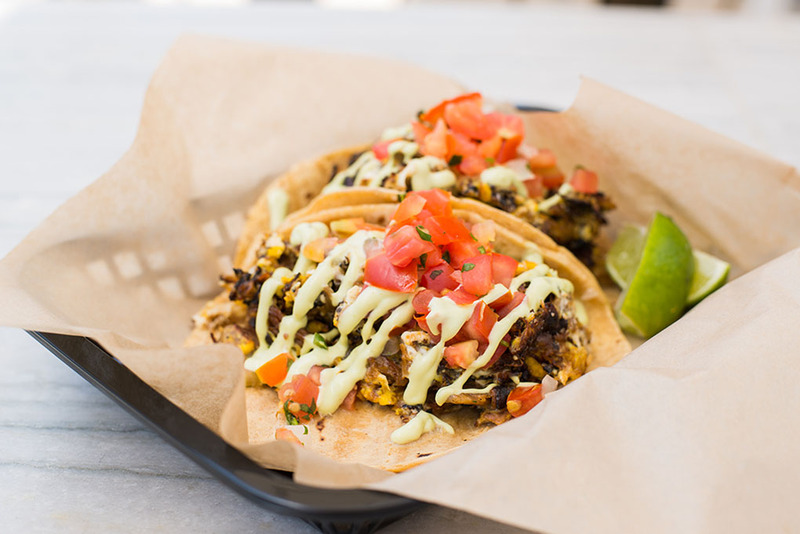 Please join Carnitas’ Snack Shack, Good Eats San Diego and Think Dignity on Wednesday, August 10th as we Dine for Dignity and raise money for San Diego’s homeless community. Culinary duo Chef Hanis Cavin and his wife Sara Stroud opened their first Carnitas’ Snack Shack in North Park in 2011. Eventually, they added “shacks” in both Carmel Valley and Embarcadero, their newest location which is adjacent to Broadway Pier. Chef Cavin and Stroud are pioneers of the slow food movement and are committed to serving ethically-sourced food. The slow food movement maintains that we should eat food that tastes good, is ethically sustainable, and for which food producers receive fair compensation. 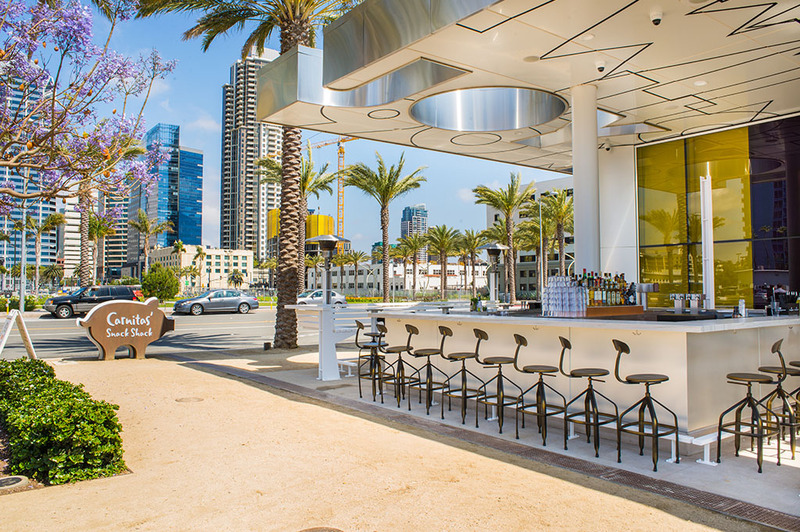 Their new Embarcadero location features a twenty-eight seat outdoor bar. Craft cocktails are created by Mai Pham, the Bar Manager. Guests can savor citrus-focused craft cocktails, which will balance out the smoky, meat-centric menu. Otherwise, we recommend that you explore the rotating selection of craft beer and wine. 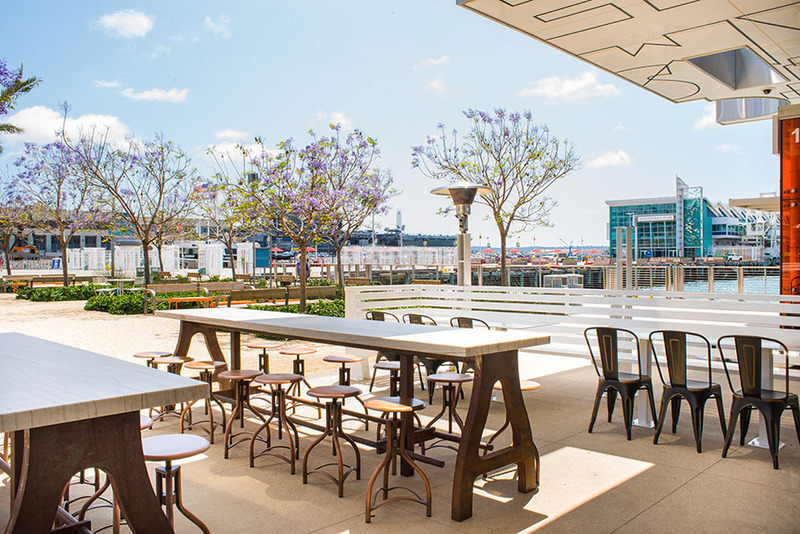 Every Friday, Saturday and Sunday, patrons can listen to free live musical performances from the open-air space and extensive patio area at the Embarcadero location. The Residence Inn, 900 Bayfront, across North Harbor Drive validates parking for $7. Carnitas Snack Shack is a proud supporter of the Good Eats San Diego Foodie Week and Dine for Dignity. Carnitas Snack Shack is donating a percentage of all sales on Wednesday, August 10th to Think Dignity.